We’d love your help. Let us know what’s wrong with this preview of Wolfman Confidential by Justin Robinson. When the Night War ravages the world, turning it into a universe of pulp monsters, humans become a downtrodden minority. Nick Moss, the last human private eye in LA, is searching for a shadowy monster slayer, for an invisible man with dangerous info who, well, vanished…and for a killer of talented human beauties—while trying to avoid being turned or killed outright by powe When the Night War ravages the world, turning it into a universe of pulp monsters, humans become a downtrodden minority. Nick Moss, the last human private eye in LA, is searching for a shadowy monster slayer, for an invisible man with dangerous info who, well, vanished…and for a killer of talented human beauties—while trying to avoid being turned or killed outright by powerful monsters, some of whom are his employers or their lieutenants. 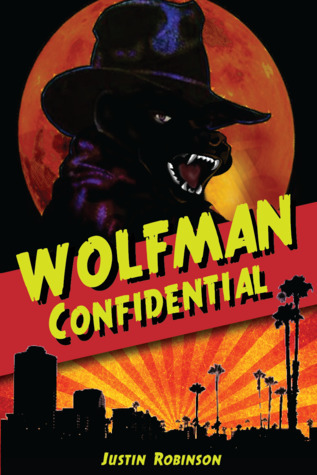 To ask other readers questions about Wolfman Confidential, please sign up. The longest of the City of Devils books so far, Wolfman Confidential reveals the depths of the world that the previous two books have set up. It begins with Nick Moss being hauled into the police station by his werewolf nemeses, officers Moon and Garou, and never lets up. Even at times when the action is more cerebral, there is still impending doom hanging over Nick (or those he cares about). It turns out that humans are scary, too. We get to see more of Nick's backstory as it becomes relevant to The longest of the City of Devils books so far, Wolfman Confidential reveals the depths of the world that the previous two books have set up. We get to see more of Nick's backstory as it becomes relevant to the case at hand, and this makes the final revelations all the more bitter, all the more sweet. I continue to adore this series. It's like a weird little niche of noir/horror/mystery with a lot of humor thrown in. The world drags you in and the intriguing characters make you want to keep reading and learning more. The mystery is really well done. The main character Nick has some hard decisions to make in this book and I can't wait to see what happens next.